나주오량동토기유적은 지난 2001년 오량동 일대에서 분묘조성을 위한 개발사업 중 유적이 노출된 것이 발견되어 긴급 발굴조사를 통해 확인되었다. 나주오량동유적은 영산강의 남안 구릉지역으로 나주복암리고분군과 반남고분군사이에 있는데 영산강 본류와 인접하여 강을 통한 교통의 요지에 해당되는 곳이기도 하다. 지난 2001년과 2002년 2차례에 걸친 발굴조사 결과 노출된 17기의 가마 중 총 5기의 가마를 조사하였는데 주로 옹관을 조성하던 가마로 추정된다. 가마에서는 다량의 옹관편을 비롯하여 개배류, 기타 토기편 등이 출토되었고 가마부근에서는 석곽묘 2기가 조사되었다. 유적의 연대는 5세기 후반∼6세기초 였던 것으로 추정되는데 발굴조사 결과 대량의 가마유적이 한 지역에 집중되어 있는 점이 확인되었다. 나주오량동토기유적은 삼국시대의 옹관고분의 전용 대형옹관을 굽던 가마유적으로 전용옹관의 제작과정과 제작집단(세력), 운송과 교류 등의 비교 연구에 있어서 중요한 가치가 있고, 주변의 나주 반남고분군, 나주 복암리고분군 등의 유적과 상관성 연구에 중요한 자료이다. 또한 이제까지 영산강유역 고분에 사용된 전용옹관의 제작과정이 밝혀지지 않고 있는 상황에서 발견된 유적이어서 향후 고대사회의 문화연구에 귀중한 자료가 된다. 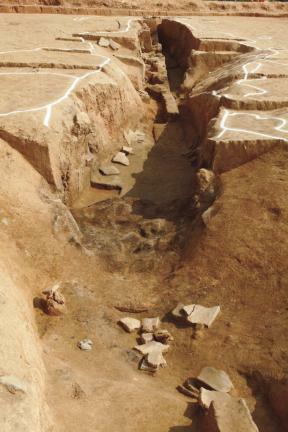 The kiln site in Oryang-dong, Naju was discovered during a cemetery development project in 2001 and confirmed through a quick excavation. 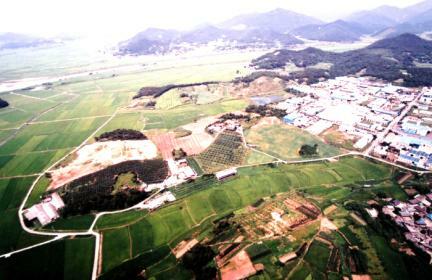 The kiln site is in a hilly country by Yeongsangang River located between the Ancient Tombs in Bogam-ri and those in Bannam in Naju. 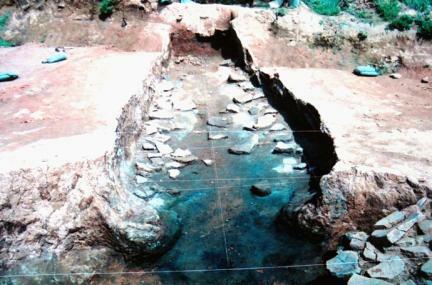 Being located near the river, it was used as a water transportation center. 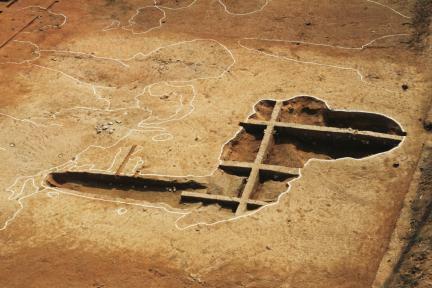 Two excavations in 2001 and 2002 revealed 17 kiln sites, 5 of which were dug up; the five turned out to be kilns devoted to making jar coffins. 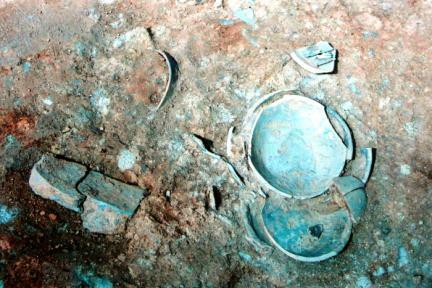 A large number of coffin fragments were found in the kilns as well as dishes with lid and other earthenware fragments, with two stone-lined tombs also found nearby. The kilns are estimated to date back to the latter half of the 5th century to the early 6th century, with the excavation confirming that a large number of kilns were concentrated on this one area. As a kiln site specializing in the production of large jar coffins, this kiln site in Oryang-dong is valuable in studying the production process of such coffins and the group of people who made them, including their transportation and exchanges with other areas. 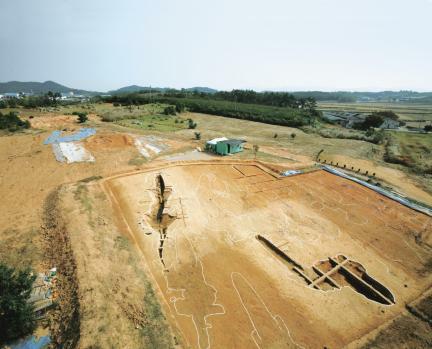 It is also important in finding a connection with the nearby tombs in Bannam and Bogam-ri. 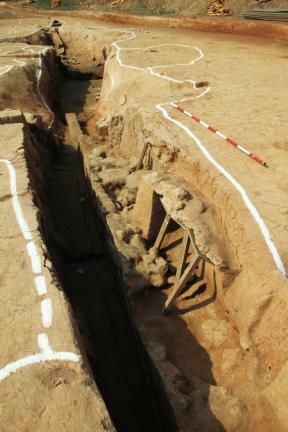 In addition, since little was known about how the jar coffins found in the Yeongsangang area were produced, the discovery of the kiln site is deemed to provide valuable information on the culture of ancient society.